28th March 2018: Malaysia is the 44th most populous country in the world with a population of 30 plus million. 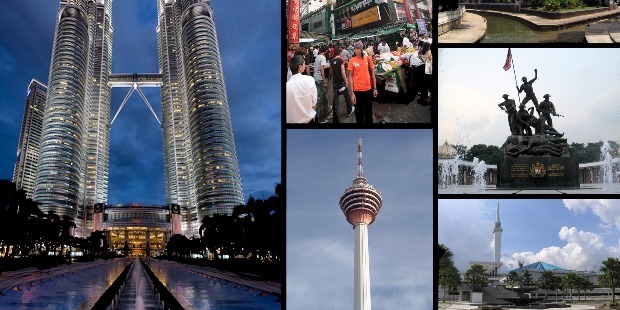 Spread across 330,803 sq km, Malaysia consists of 13 States and 3 Federal Territories. Kuala Lumpur, the Capital City is one of the magnificent Capital cities in the world. Malaysia is ranked 8th in Asia and 25th in the World in overall infrastructure. Malaysia stands at the 19th rank in the World for its quality roads, port infrastructure and quality of air transport infrastructure. The small nation has 7 International Ports and 200 Industrial Parks, which speaks very high of its infrastructure magnificence. Malaysia’s GDP has been growing at an average of 6.5% per annum for almost 50 years, which is considered as one of the best economic records in Asia. Malaysian architecture is amazingly magnificent in terms of beauty, magnitude, designs and functionality. Malaysian architects and breaking new frontiers to create magnificent structures in various parts of the world, apart from their own. The architects are humble, true to Malaysian culture. Their creativity speaks for their passion and dedication towards building their nation strong, better and beautiful. Esa Mohamed and Goh Hock Guan established AJM – ‘Akitek Jururancang Malaysia Sdn’ in 1978. AJM was focused with the sole aim to serve the nation’s rapid development during the 80s. Nearing the four decades of existence, Esa and Goh have created awe-inspiring structures and their master planning are renowned in the architecture world and general public. AJM’s proven track record is an indication of being a trustworthy and reliable partner in nation’s development and progress. Esa completed his Bachelor of Architecture in 1973, with a 1st Class Honours and the University Gold Medal from University of Newcastle, Australia. In 1976, he accomplished his Masters in Town and Country Planning from University of Sydney, Australia. Esa Mohamed is one of the renowned architects in Malaysian architecture. University of Newcastle, Australia conferred the Honorary Doctor of Architecture to Esa Mohamed for his invaluable major contribution towards country’s development and advancement of architecture. He is famous for the Federal Administrative Capital City of Malaysia, the master plan and architecture of the Kuala Lumpur International Airport, master planning of Putrajaya and other major projects in the country. In 2001, the prestigious Aga Khan Award was bestowed to Esa Mohamed for designing the majestic Datai Resort, Langkawi. He has been honored by the CIDB – Construction Industry Development Board with the ‘Construction Industry Player of the Year’ award in 2002. In 2003, he was conferred the ISM – Institution of Surveyors Malaysia Excellence Award for his ‘Outstanding Contribution to the Property and Construction Industry’. AJM has build impressive and illustrious track record in architectural, town planning, urban design, landscaping and interior design projects in Malaysia, Singapore, Philippines, Vietnam, China, Pakistan, Saudi Arabia and other countries. Esa Mohamed’s partner Goh Hock Guan holds the distinction of being appointed as consultant and advisor to numerous Heads of Government and monarchy. Prominent among them are Tunku Abdul Rahman, Tun Abdul Razak, Tun Dr. Mahathir - Prime Ministers of Malaysia, President Ramos of the Philippines, the late President Tran Truc Lung of Vietnam, Prime Minister Lee Kuan Yew of Singapore and the Mayors of Hefei, Shanghai and Shenzen in China. Unit One Design Sdn Bhd, the architectural and design firm was established by Wong Tung Ken and John Ding in 1996. Wong and John won the prestigious Malaysian architecture PAM – Pertubuhan Arkitek Malaysia Gold Awards in 2013 for their spectacular design creation ‘Rhombus’ in the heart of Bangsar, Kuala Lumpur. In 2016, they won the Silver in PAM Awards for their superb project ‘388 U Thant in Kuala Lumpur. Rhombus is a 14-storeyed boutique residential tower. Wong started the designing of Rhombus was to move away from the flat syndrome and break the trend of the standard linear construction of flats. The astounding façade of the building has become a head-turner for passerby. 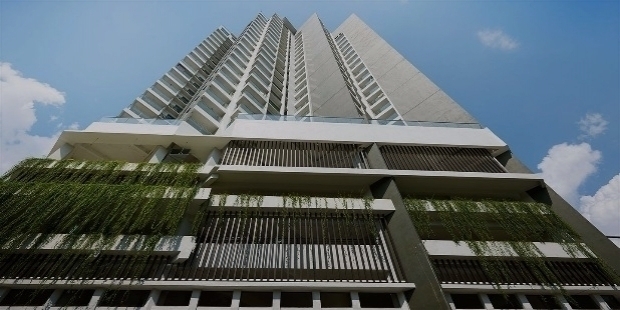 Wong and John overcame the big challenge of the half-acre site and its topography to create one of the most creative residential towers in Jalan Penaga. The duo’s creativity broke the mundane norms of designing in the most innovative manner. The four-level car park and lobby entrance were intelligently veiled with elegant timber screens and lush green walls. The area is well-ventilated and lit naturally, because the architects believe the car park is a home owner’s front door, which individual see it every single day leaving and coming home to. Thoughtful designing elements have provided homeowners of Rhombus to feel the exclusive ambiance of luxury. Nazlan Baharuding studied architecture from Nottingham School of Architecture. During his student’s period, RIBA exhibited many of his works for its creativity and innovative technique. He completed his graduation in 1984. Nazlan Baharudin is the Managing Director of architectural and design firm Arkitek Rekabina Sdn Bhd. In 2017, Nazlan won the prestigious Malaysian PAM Gold Awards for the Bangunan Azman Hashim Project, Graduate School of Business at University of Malaya. Mazatlan's concept of creativity, versatility and sustainability vision are his architectural philosophy. Elements of elegance and sophistication are Nazlan’s signature style, which are prominent in his design creations. In a short span of just four years, the architect has completed 35 building projects. Prominent among them are Lyric and Experimental Theatres at Kuala Lumpur and Seremban, Putrajaya’s Pioneer Smart Schools, Melaka High Court Complex, the Snake Sanctuary Langkawi, a Cancer Research Centre in KL and a bridge at Langkawi, just to name a few. Nazlan Baharudin collaborates with Sir Miles Warren of Architecture Warren & Mahoney and Bicuadro Architetti of Italy and a couple of other architectural firms. John Lau Kah Sieng was born on the 28th of July 1948 in Sibu, Malaysia. In 1974, he completed his Bachelor in Architecture from the Melbourne University, Australia. In September 2012, John Lau Kah Sieng became the first architect from Sarawak to be honoured with the Pegawai Negeri Bintang Sarawak’s title ‘Dato Sri’. From the year 1971 to 1973, John Lau worked as an Assistant Architect with ‘Architects Team 3’ in Singapore. He joined ‘Godfrey Spowers’ and worked from 1973 till 1974. From 1974 to 1975, he worked at ‘Jabatan Kerja Raya’ in Kuching, Malaysia. In 1977, he established ‘Kumpulan Design’ in Sibu. John Lau is also a Director of ‘Arkitek KDI Sdn Bhd’ since the year 1989. John Lau Kah Sieng’s noteworthy contribution has enriched architecture in the State of Sarawak in Malaysia since the last four and a half decades. In 1979, John Lau won the ‘Sesco Headquarters’ competition. 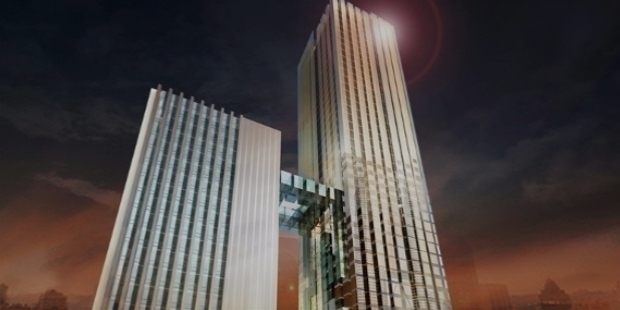 His design creation of the iconic building won several prestigious awards. The success led him to move his architectural firm to Kuching in 1980. Kumpulan Design was jointly adjudged as the Second Prize winner at the KL Golden Triangle Master Plan Competition in 1985. The award inspired and encouraged John Lau to open a new office in Kuala Lumpur in 1986. 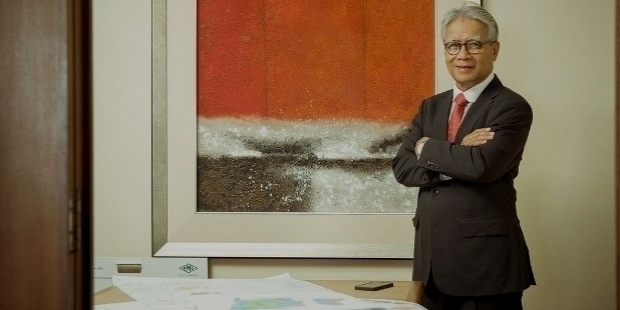 He renamed the firm as Arkitek KDI Sdn Bhd, reflecting the global stature of his design firm. John Lau’s distinguish career has seen him growing in leaps and bounds. His creative influence has its presence in Singapore, China, Hong Kong, United Arab Emirates and Africa, apart from Malaysian skyline. 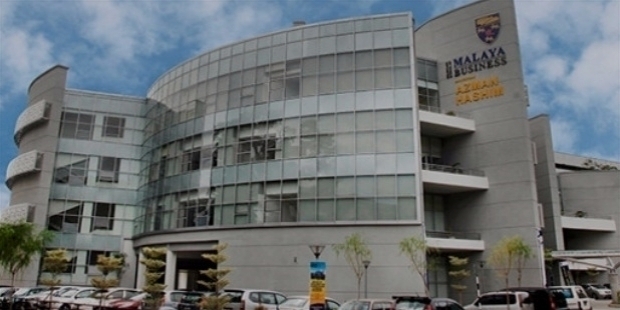 By 2006, KDI had established four international offices in Sibu, Kuching, Kuala Lumpur and Abu Dhabi. In the last four and a half decades, his architectural firm has won several prestigious awards. The Malaysian Institute of Architects’ 1st Prize for Bau Civic Centre Project in the Institution Building Category; 1st Prize for Bintulu Civic Centre Project; 2nd Prize at the International Competition for Al Raha Beach Hotel, Abu Dhabi; 1st Prize for Rimbunan Hijau (RH) HQ in Sibu and in collaboration with Alan Kueh, the 1st Prize for OSK Financial Centre KL Project. In 1985, John Lau Kah Sieng was honoured with the Silver Medal at the PAM Awards for the Kuala Lumpur City Hall Dewan Bandaraya Project. In 2010, KDI won the Prestigious International Award MIPCM Asia Awards 2010 for the Best Business Centre for Borneo Convention Centre Kuching. Young Alan Teh Yee Neng was inspired by the Chinese American Pritzker Prize-winning architect I. M. Pei, the man who was selected to design the legendary François Mitterrand's Grand Louvre Project in 1983. As a young child, he wanted to become an artist. Destiny chose him towards a higher pedestal. Alan The Yee Neng was interested to pursue architecture in North America. He registered in McGill University in Montreal, Canada. In University of Tasmania, he got scholarship, so Alan moved to Australia. At the University, in 1996, in an exchange program, Alan went to Bergen School of Architecture in Norway. His architectural excursion spread across Europe for 3 months was quite enriching. Alan Tech's architectural influence in three different continents during his student life has been instrumental in his creative growth and innovative designing capabilities. After graduating from University of Tasmania, he returned to Malaysia in 1999. He honed his designing skills in couple of Kuala Lumpur-based practice. In May 2005, he established Atelier Alan The Architect. 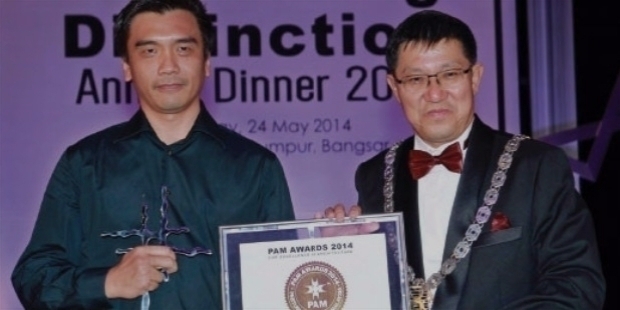 In 2016, Alan The Yee Neng won the prestigious PAM Awards in Architecture for his innovative ‘Univ360 Sofo Suites Project’ in Serdang, Kuala Lumpur. The project went onto win the Star Property Award 2017 and Malaysian Landscape Architecture Award’s ‘Project of the Year Award’. Once again in 2017, he won the PAM Awards in Architecture for his innovative design creation in the ‘Showroom Category’.